Summary: Imagine a new series of north-south Metrorail lines connecting Union Station and Judiciary Square to the Waterfront, or streetcars gliding up and down Constitution Avenue. 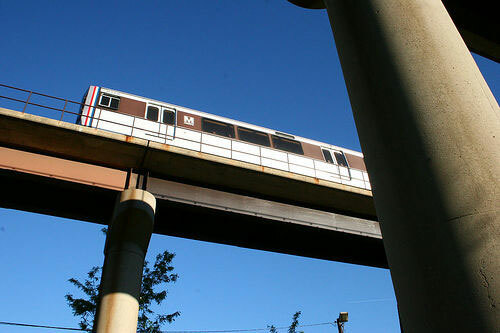 Metro officials are considering those ideas, as well as new bus rapid transit corridors and other transportation services, as they begin to craft a 30-year plan to handle the Washington area's projected population and employment growth. Summary: If Thursday’s groundbreaking for the 1812 North Moore Street office tower was anything, it was a vote of confidence in the DC area, and Rosslyn specifically, as a commercial center. Summary: For the year 2009 alone, the top five walking commuter cities were Boston (14.1 percent commuted by foot), Washington (11.1), San Francisco (10.3), New York (10.3), and Philadelphia (8.7). The city with the lowest commuter walking share for the year was Fort Worth, at 1.2 percent.